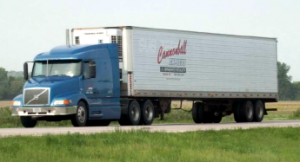 Cannonball Express operates a fleet Nationwide Refrigerated Services, which handles LTL products to all points in the lower 48 states We make weekly scheduled deliveries of time sensitive perishables. Our over-the-road fleet consists of 50 Power Units, utilizing Owner Operators specifically trained in the LTL delivery business. Our current operation gathers most of our freight from a 250-mile area surrounding Omaha. We receive most of our orders by Wednesday of each week, route the freight on Thursday, and make all of our appointments for the following week by Friday. We pick up the freight on Thursday and Friday, bring it into our cross-dock, sort and reload the product on Friday and Saturday, and have the freight delivered by Wednesday of the following week. We provide service to all points south and east of Nebraska while our partner, B&B Trucking, to provide the same service to the western half of the country. We try to have the same driver deliver to the same area each week so drivers and receivers become familiar with each other, which allows us to give the service that we consistently provide. 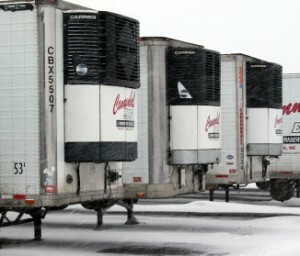 All of our trailers have vented bulkheads so they can carry a combination of fresh and frozen product. Most drivers carry their own pallet jacks to accommodate the increasingly difficult unloading obstacles that are commonplace in the industry. Our drivers and staff are trained to be as flexible as possible to meet every requirement that our customers and your customers expect.